In 2008, more than 60 percent of voters approved a new law that would regulate Michigan’s medical marijuana industry. Like other medical marijuana laws in the nation, Michigan’s original legislation provided clear directives to caregivers and certified medical users, but did not provide regulations for growers and dispensaries. As the number of medical marijuana patients in Michigan grew from hundreds to tens of thousands, the community also grew. Unfortunately, Michigan’s lack of clear regulations led to a lot of confusion. Under the previous legislation, Michigan allowed the growing of limited marijuana by certified medical users and caregivers. A certified medical user was authorized to grow up to 12 marijuana plants. A caregiver was allowed to grow a maximum of 12 plants for each of their patients. Each caregiver was allowed to serve five patients at a time. This meant a caregiver could grow a maximum of 72 plants. The new law creates three classes of growers: people who can grow a maximum of 500 plants, 1,000 plants and 1,500 plants. It also creates five types of licenses for growers, dispensaries, testing facilities, transporters and seed-to-sale tracking. Participating in the new law will come at a cost. The community will charge dispensaries an annual fee, which could total $5,000 for each dispensary. Also, they’ll decide whether a dispensary will be allowed to operate and where it will operate. The state will charge dispensaries a licensing fee of no more than $10,000 per license for the lowest class of growers who cultivate 500 plants or fewer. Every dispensary will pay a 3 percent tax on gross sales, of which 70 percent will go to the local governments and police departments. Much of the balance will go to the state general fund. For the most part, licensing fees will support a bureaucracy that is projected to cost about $21 million a year. This includes $550,000 to the attorney general’s office for legal expenses, 34 officials from the Michigan State Police and 113 permanent state licensing employees. Beyond the state’s licensing laws, which are yet to take effect, local communities will decide whether they’ll allow newly legalized entities to operate in their areas. A city, village or township may set the number of medical facilities allowed in its jurisdiction, along with laws to restrict zones where a dispensary, grower or other entity may operate. In some ways, the new laws will legalize dispensaries, which have operated in the legitimate shadows since the original law was approved in 2008. The old law wasn’t clear about marijuana dispensaries, and that’s why there was an oversupply in cities like Lansing and Detroit, which failed to honor the business in the community. This led to numerous shutdowns by the police. Administrators are weighing the benefits that the medical facilities will bring — such as more tax revenue for the state and greater accessibility to medical marijuana for patients — against potential safety concerns. Across the nation, 28 states have laws largely legalizing cannabis in some form. More states will soon join them after recently passing laws authorizing the use of medical marijuana. Eight states have adopted extensive laws permitting the use of marijuana for recreational use. Most recently, in November 2016, Massachusetts, California, Nevada and Maine also passed measures legalizing the use of marijuana for recreational purposes. In California, for instance, adults 21 and above are allowed to possess up to 1 ounce of cannabis as well as grow up to six plants in their homes. In states that have recently passed regulations, several officials are debating proposals regarding the use and sale of cannabis. Massachusetts legislators are weighing bills that could lower the amount of marijuana people can legally possess. In Nevada, lawmakers are proposing that businesses should obtain permits from the state allowing for the public use of cannabis. A few other states have legalized the possession of limited amounts of cannabis. Some marijuana laws are more accommodating than others, allowing possession of medical marijuana for certain preapproved conditions. Otherwise, most states have approved narrow laws permitting citizens to possess medical cannabidiol, a strain of cannabis that provides relief from pain without the usual high that accompanies traditional cannabis. Under Michigan’s new laws, the five-member licensing panel, which will be appointed by Gov. Rick Snyder, cannot put a limit on the number of marijuana licenses available to businesses that will have gone through a thorough and conclusive background check to ensure they qualify for a license. With marijuana activists launching a petition to put recreational legalization of marijuana on Michigan’s 2018 election ballot, it’s not clear how long the new medical system will last before the marijuana industry gets another law. 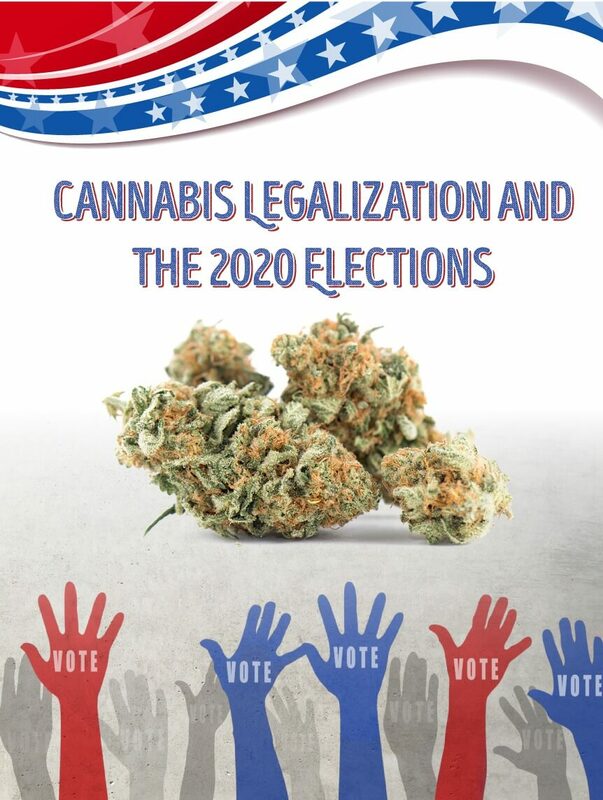 One group of legislators tried to place a legalization bill on the 2016 election ballot, but they failed after state officials said many of the 350,000 signatures on the petition were collected outside of the stipulated 180-day window. Nonetheless, the Marijuana Policy Project is working to form a coalition that will put the recreational use of marijuana up for a vote. It believes there’s an excellent chance of prompting state lawmakers to move forward with legalization. In fact, Mike Callton, who plans to run for Senate in 2018, said he had successful talks with one legislator who plans to introduce marijuana for recreational use before the beginning of spring. “Moving from medical use to recreational use is going to be a much shorter route,” he says. For now, we’re all looking forward to getting more growers and dispensaries licensed, allowing for greater accessibility in Michigan as well as reduced marijuana prescriptions and more tax revenue for the state. Browse through our directory to access the current marijuana doctors and dispensaries in Michigan and connect with new ones as progressive legislation advances.